You are invited to attend a bowling fundraiser to benefit the Ulman Foundation. 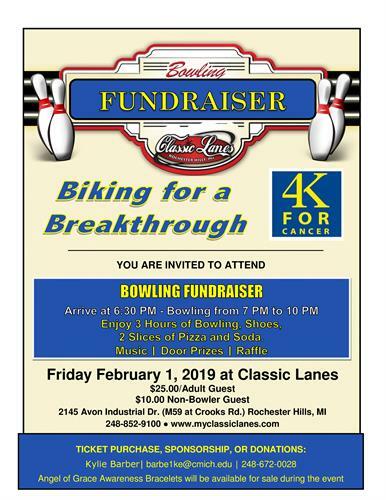 Join us to enjoy 3 hrs of bowling, pizza and pop along with door prizes and raffles. selling their bracelets with a portion of each sale going to Biking for a Breakthrough.